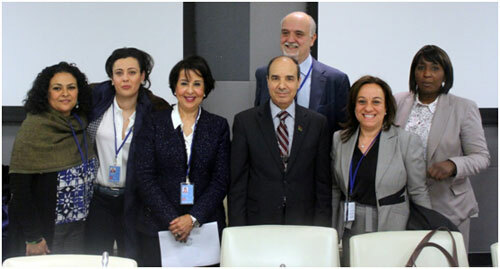 UNITED NATIONS, Mar 14 2014 (IPS) - As is the case in many parts of the Middle East, women in Libya are facing disillusionment in the aftermath of the Arab Spring. During the 2011 Libyan revolution the world witnessed women from all backgrounds taking to the streets in towns and cities across the country, as well as the flourishing of thousands of women-led non-governmental organizations (NGOs). However, the armed clashes between rival militias, crime and kidnappings, bombings and assassinations that have become almost routine in post-revolution Libya, territory, women have been forced to take a step backwards. Farida Allaghi, president of the Libyan forum for civil society, said women are the most affected by the insecurity despite the fact that they never took up arms themselves. They are the ones with clean hands, she stated, which should make them the best moderators of a peace process. Instead, women’s representation has been deteriorating. Libyan women went from forming 17.4 percent of the parliament to only 10 percent of the newly appointed constitution assembly, with only six women out of the 60 members. Azza Al Maghur is the only female lawyer who is a member of the February committee appointed by the General National Congress (GNC) to draft an amendment to the 2011 Constitutional Declaration to set up the procedure for parliamentary and presidential elections. She said the Tunisian and Egyptian constitutions have been strong examples for the shaping of the Libyan draft, a crucial reminder of the importance of phrasing when it comes to women’s rights. At a side event of the Commission on the Status of Women (CSW) here, representatives of NGOs spoke up against using insecurity as an excuse to disregard women’s issues. If women are not on top of the agenda during this transitional period, they said, they might never be. Besides, women made up around 47 percent of the voters in the GNC elections in July 2012, which shows their hunger for participation in the changing politics. Maysoon Tughar, financial advisor and supporter of Libyan women NGOs, said things were easier for women during the revolution because people had a common enemy, the 42-year-old dictatorship. But now that it is over, “the enemy is within ourselves”, she said. The women gathered with representatives of the governments of Libya and Italy and U.N. Women to call for increased support and world solidarity at the crucial time of drafting a new constitution for the country, which will determine the basic principles for Libyan women’s rights.